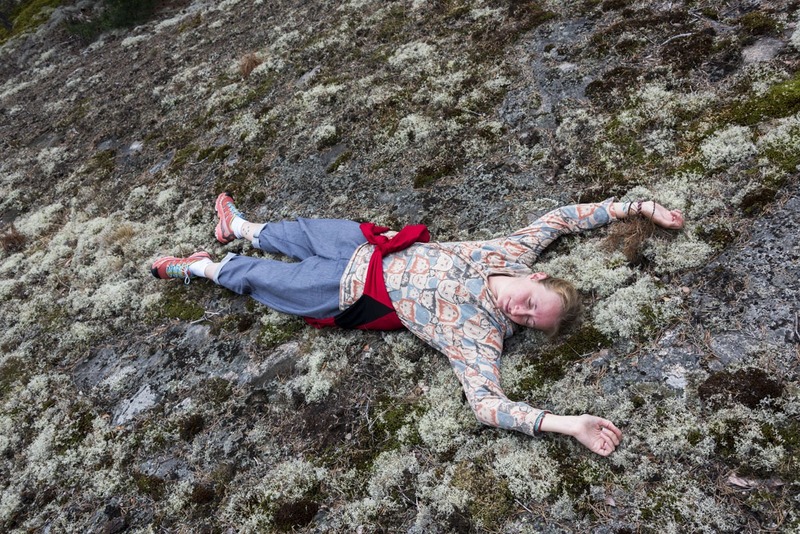 [vc_row][vc_column][vc_column_text]Our hike around Finland continues! After Hanko, the Finnish summer town, we headed to the Finnish archipelago for a week-long hiking, island-hopping and Midsummer adventure. 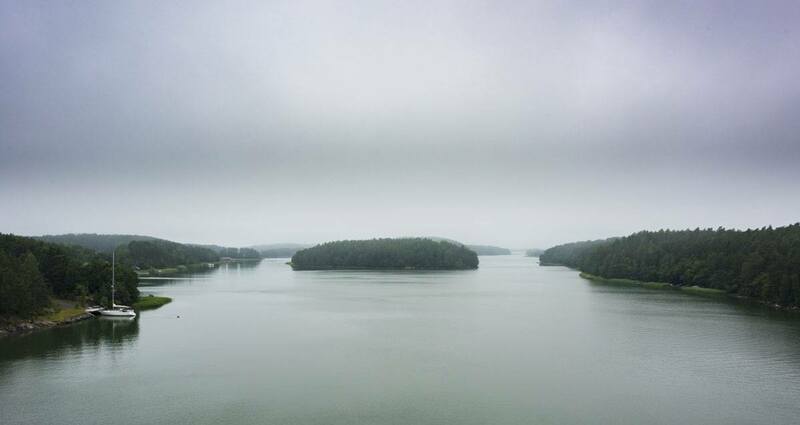 In Finland, you never know where land ends and water begins. Inland, there are lakes – off the coast, there are islands. More than anywhere else in Europe. 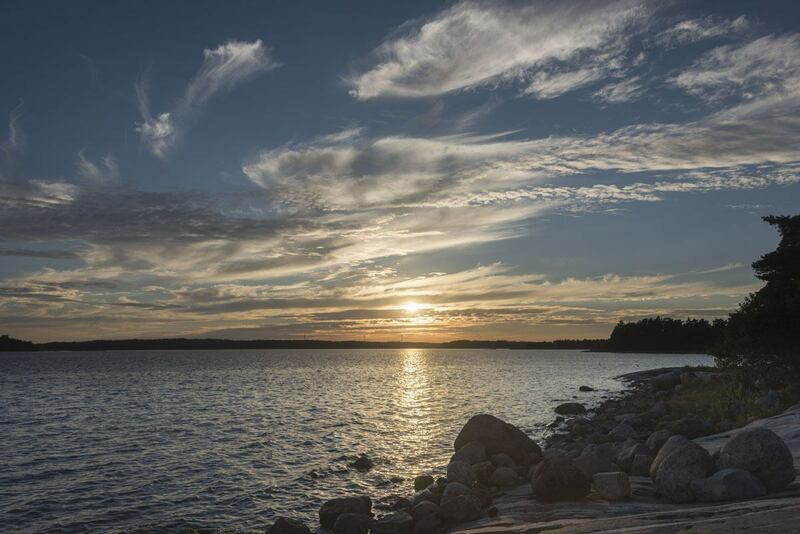 Just grab a map of Finland, and zoom on the southwestern coast – it is as if land crumbled away, leaving a trail of islands, islets and skerries that reach all the way to the Swedish coast. 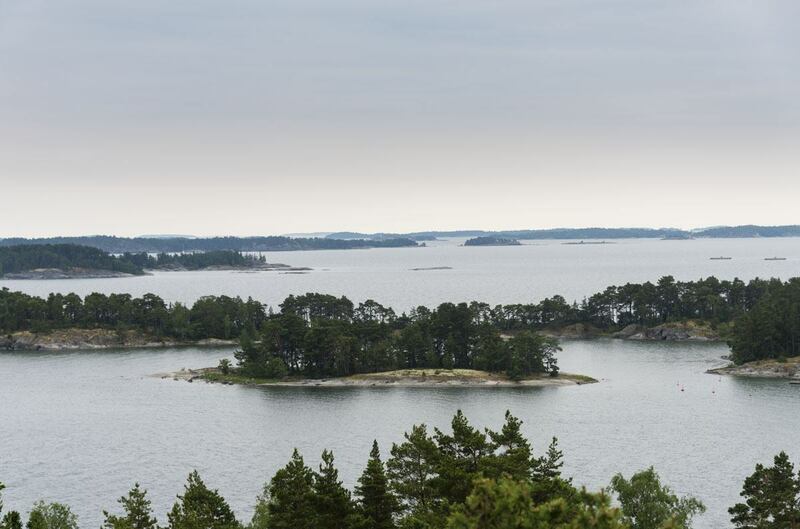 How many islands are there in the Finnish archipelago? Just take a guess. Two, three, ten thousand? 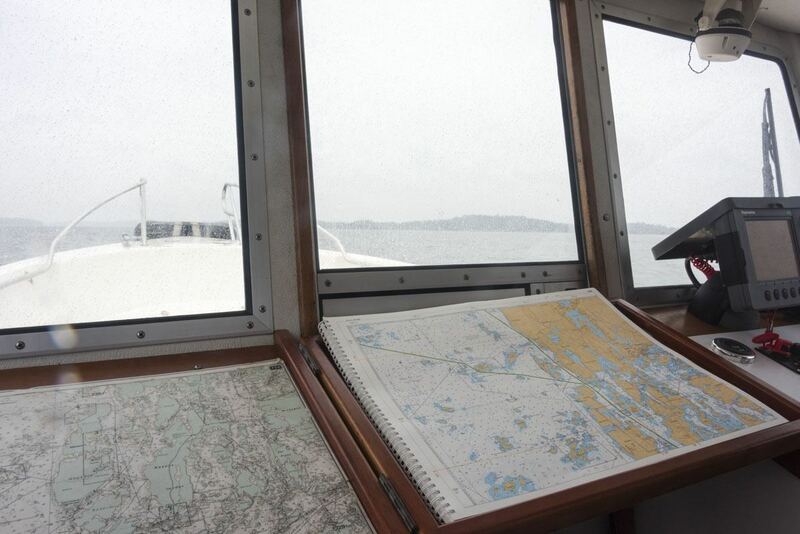 Nobody is sure how many exactly, but the number of islands off the coast of Finland is around 180,000. The reason for such a large number of islands is land uplift. 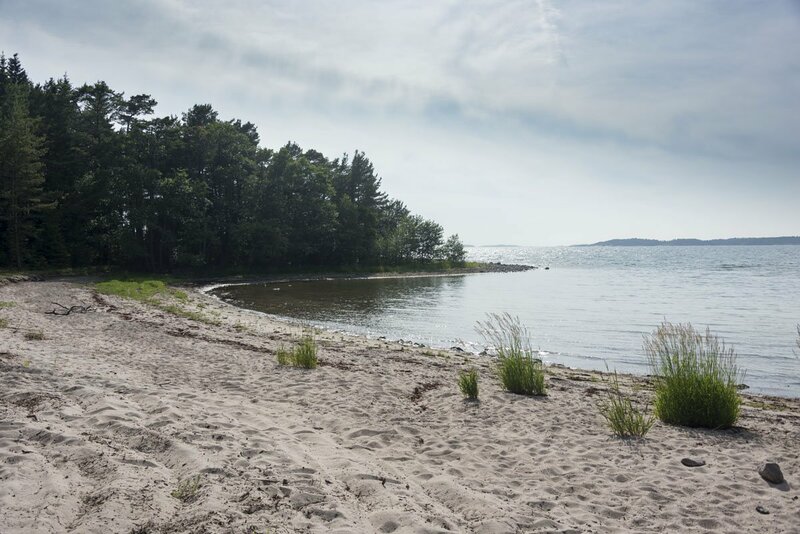 I have already mentioned the phenomenon in my post about the Kvarken archipelago, but here’s a brief explanation again. 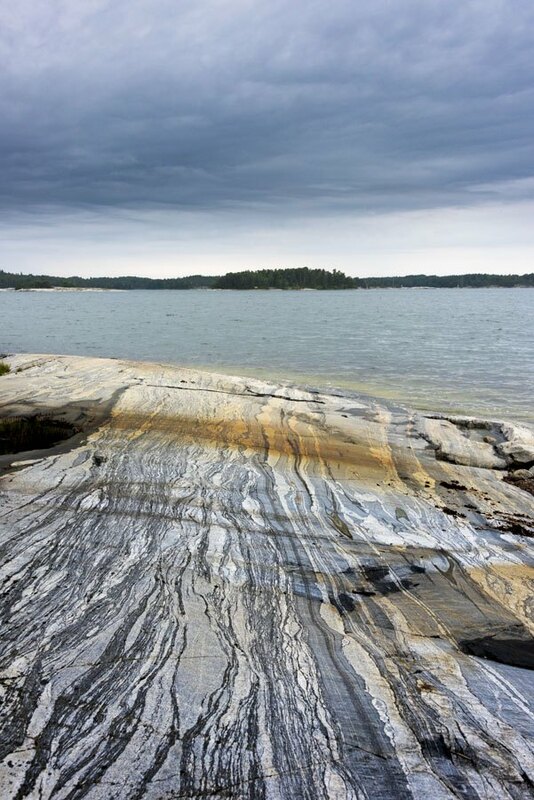 During the Ice Age, Finland was covered by an ice sheet 3 km deep. Over the course of the centuries, the ice pushed the land down, and after the ice sheet melted 50,000 years ago the land slowly started to lift at a rate of 1 cm per year. The process still continues, and it has been estimated that in 2 or 3000 years Finland and Sweden will be joined by a land bridge. 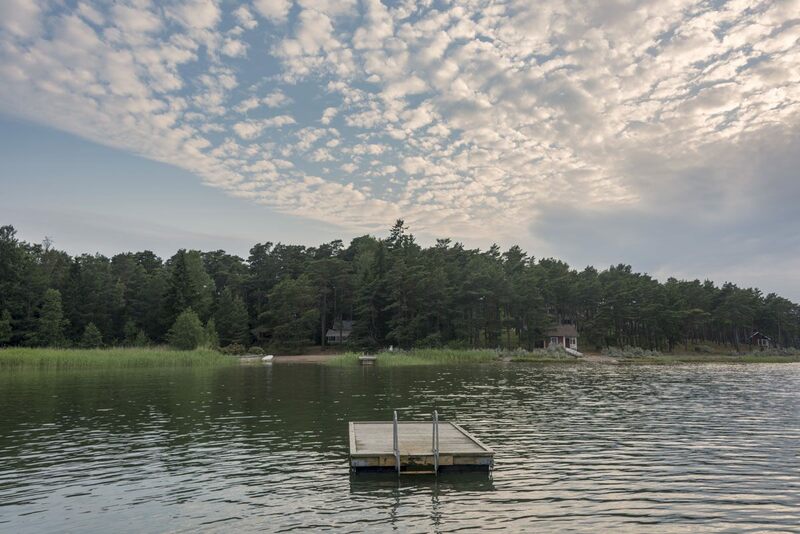 There are so many islands that several Finns we met even had their own private island, where they spend their summer holidays. Even if you’re not lucky enough to have your own, the Finnish Archipelago is one of the best places to enjoy the magical northern summer. 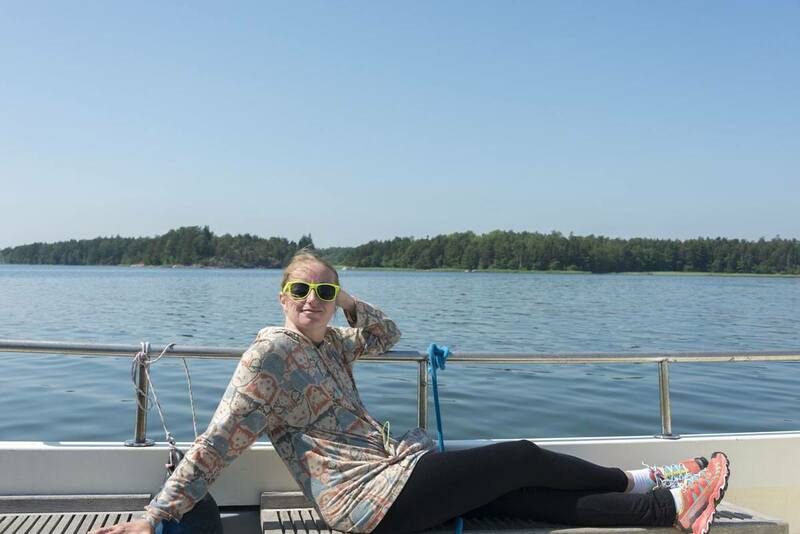 After hiking from Porvoo to Hanko over a 3 week period, we sailed away to the Finnish Archipelago, and spent the following week ‘island hopping’ – hiking and sailing between islands. By then, summer had arrived. The air had lost the icy pang of winter, and even early in the morning the sun shone warm. All around us nature was awake and luxuriant – the forests a wonderland of mansikka and mustikka, green leaves and multicoloured wildflowers. 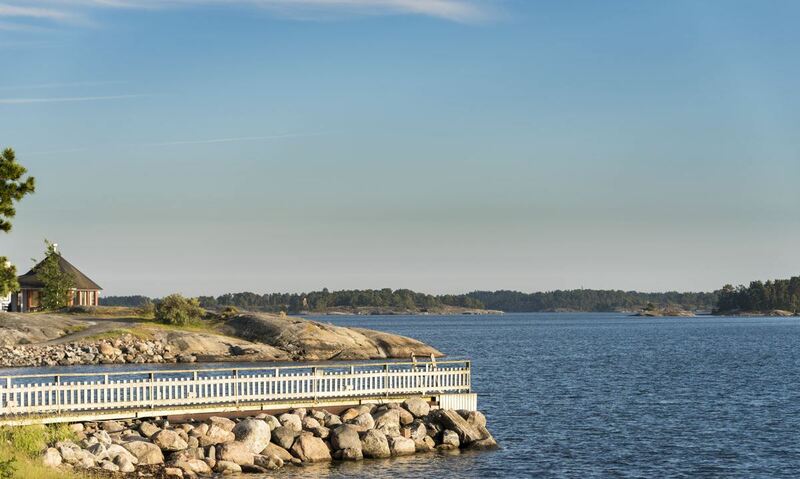 The Finnish Archipelago is a very established cycling destination, thanks to an excellent system of cycle paths and ferry connections – the Finnish Archipelago Trail, that this summer celebrated its 20th anniversary. We didn’t meet other hikers at all, which was surprising considering that the Finnish Archipelago is a wonderful hiking destination. In late June, the days are long and warm, the first berries are ripe and the temperature is usually mild, meaning that not a huge amount of water is needed and hiking in the middle of the day doesn’t get too uncomfortable. 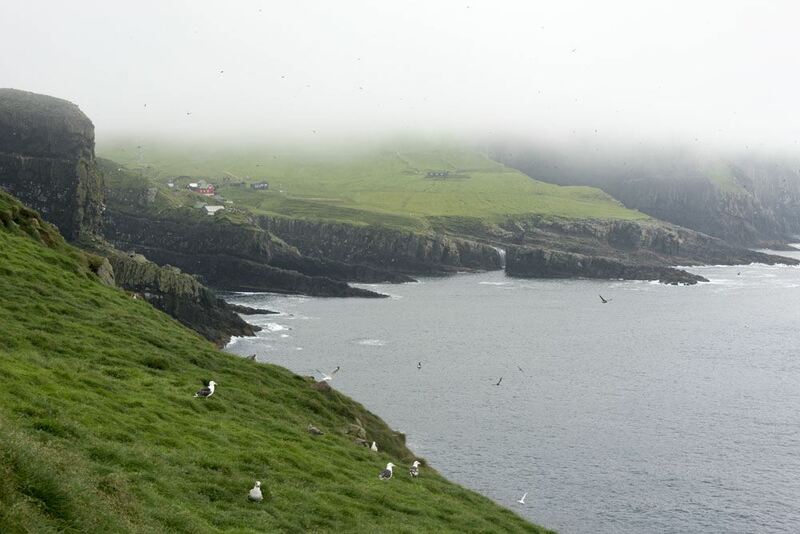 On top of that, each island is kind of a world of its own. Some islands have wonderful beaches. Others have cliffs with sunset-facing views. Others have cute villages with cafes and restaurant where you can try local food made with wild herbs and plants. Several islands have nature trails, offering marked trails through the forest with information panels about the island and its nature. If you’re looking to relax, choosing one island and spending a longer amount of time is probably a good idea. 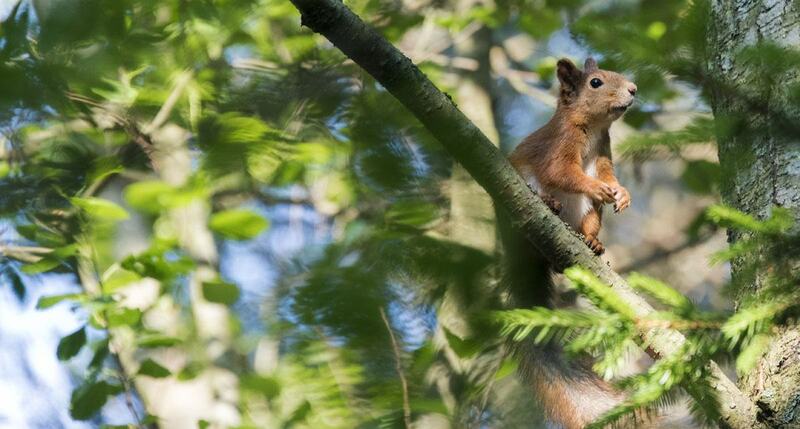 Hiking and island-hopping will keep you busy, but always close to nature – which, in my mind, is the best way to relax. Here are the islands we visited during our week hiking in the Finnish Archipelago, with some info on how to travel between them all. If you are only visiting one island in the Finnish Archipelago, make it Bengtskär. You won’t find nature trails or beaches, but you’ll be able to have a real once in a lifetime experience – sleeping in a lighthouse, surrounded by the sound of the wind and the crashing waves. 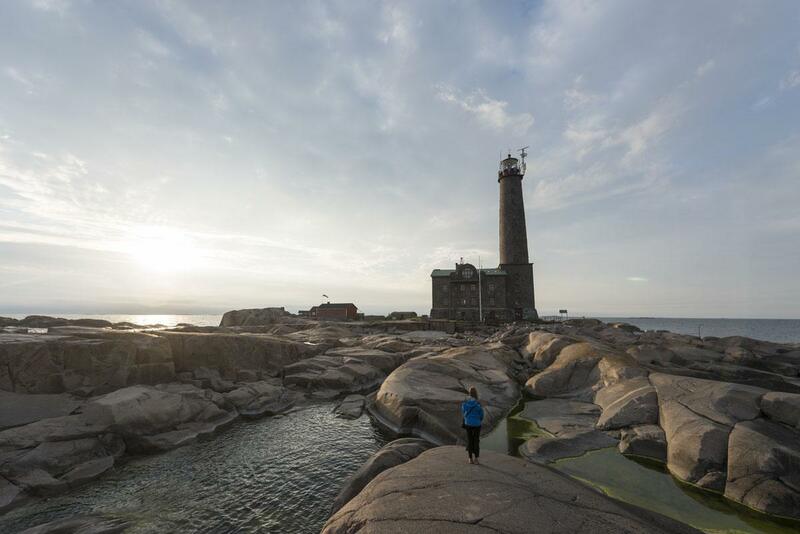 Our stay on Bengtskär was the highlight of the 6 weeks we spent hiking in Finland – we’ve written a whole post about sleeping in the Bengtskär lighthouse, with over 40 pictures of this magical island. MS Summersea from Hanko every day at 11 am. 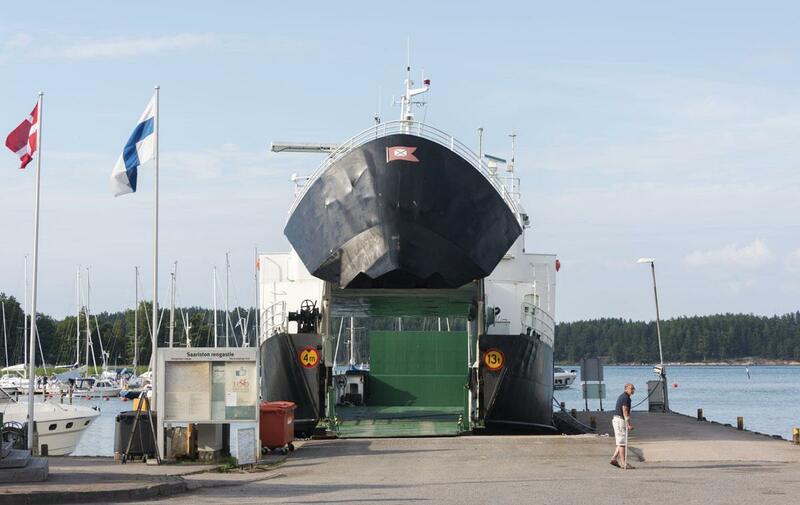 Ferries from Rosala and Kasnäs are also available. 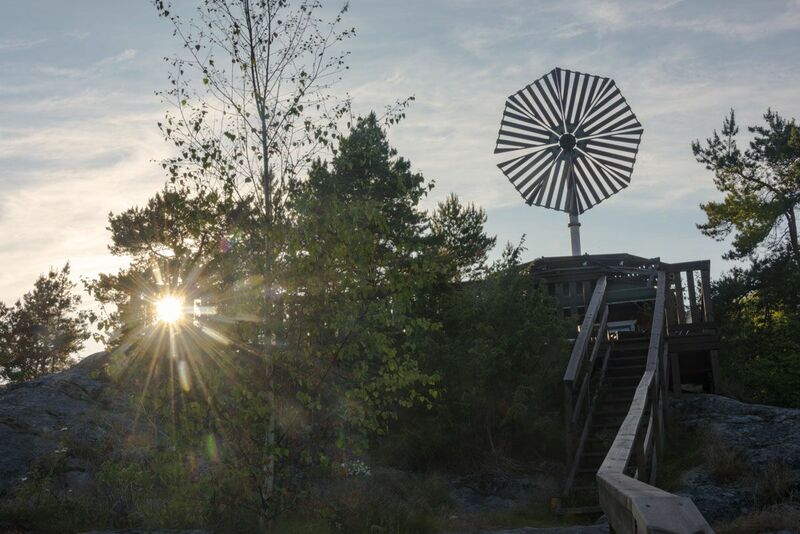 If you’re travelling with children, Kasnäs is a great destination in the Finnish Archipelago. It’s a village in the municipality Kimitoön/Kemiönsaari, to which Bengtskär also belongs. We reached Kasnäs by ferry from Bengtskar, and a few steps away from the ferry landing we found a sandy beach and a large playground, just opposite the restaurant of the Kasnäs Hotel. If – like me – you’re not brave enough to dip into the chilly Baltic Sea, the hotel also offers access to a large indoor spa and swimming pool. 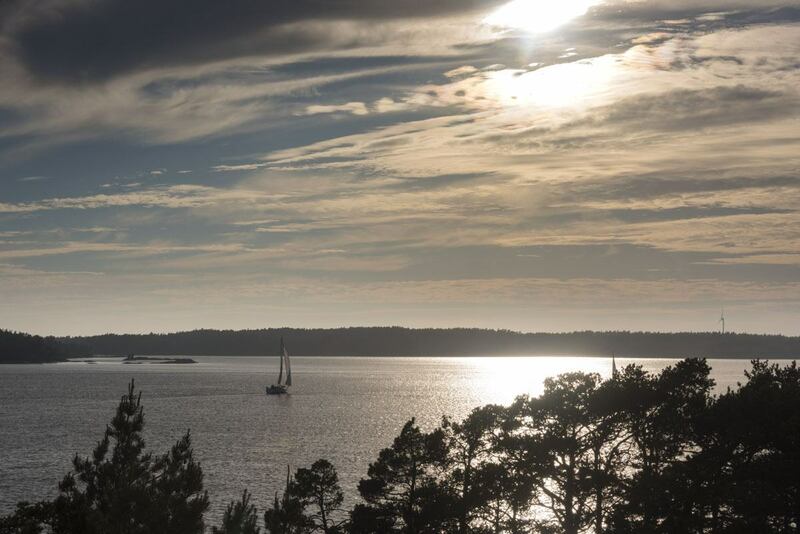 Our room was on top of a hill, higher up from the ferry landing, offering great views of sunset over the archipelago. 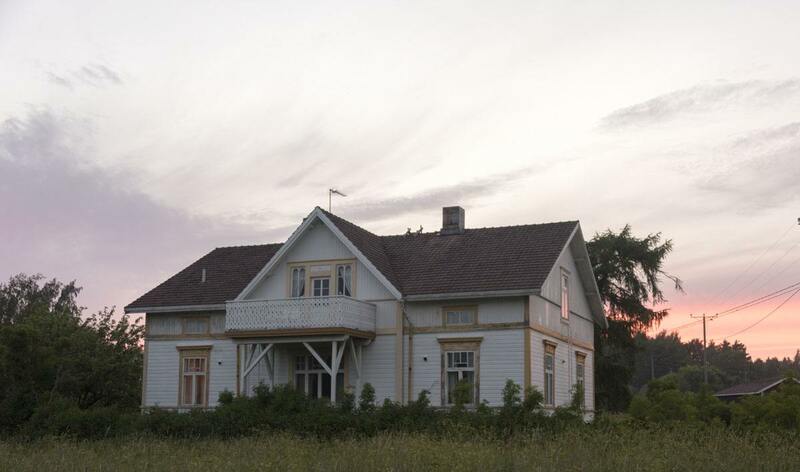 It was very close to Midsummer when we visited, and the sun didn’t set until very late. 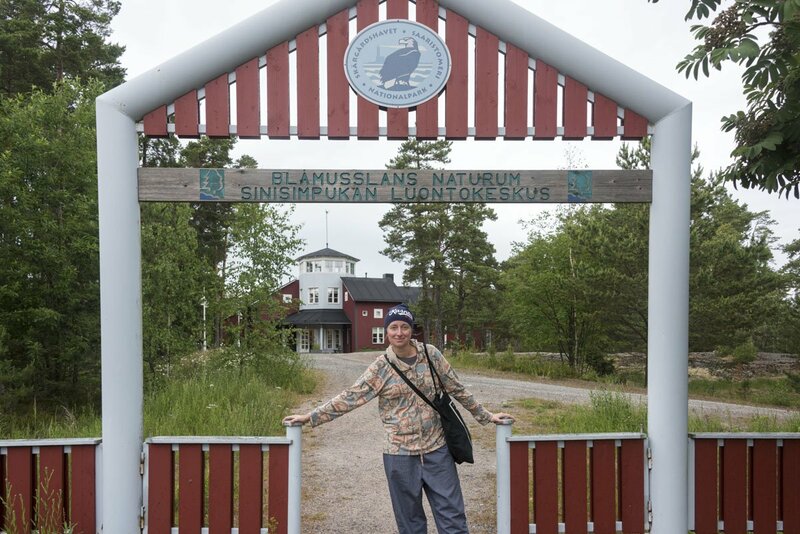 Right next to the Kansas Hotel there’s a visitor centre for Archipelago National Park, with a small exhibition dedicated to the nature and animals of the area. 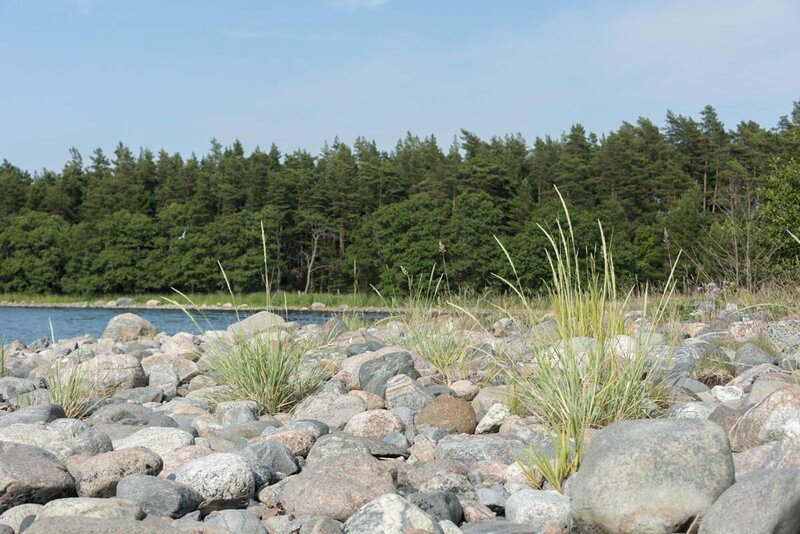 The visitor centre also marks the beginning of a nature trail that will allow you to see up close the geological oddities that make the Finnish archipelago unique – there are signs with explanations to help geology dummies such as myself. We took the ferry from Bengtskär (leaving at 4.15 pm in summer) or you can reach Kasnäs by car from Turku (1.5 hours) or Helsinki (3 hours). The Kasnäs Hotel is your one stop shop in the village. Food is served in the hotel restaurant and there’s a small grocery store to buy snacks and food. This tiny island is famous throughout Finland for having one of the best cafes in the country – Farmors Cafe, located in a pretty garden, perfect for an alfresco summer meal under the late evening sun. 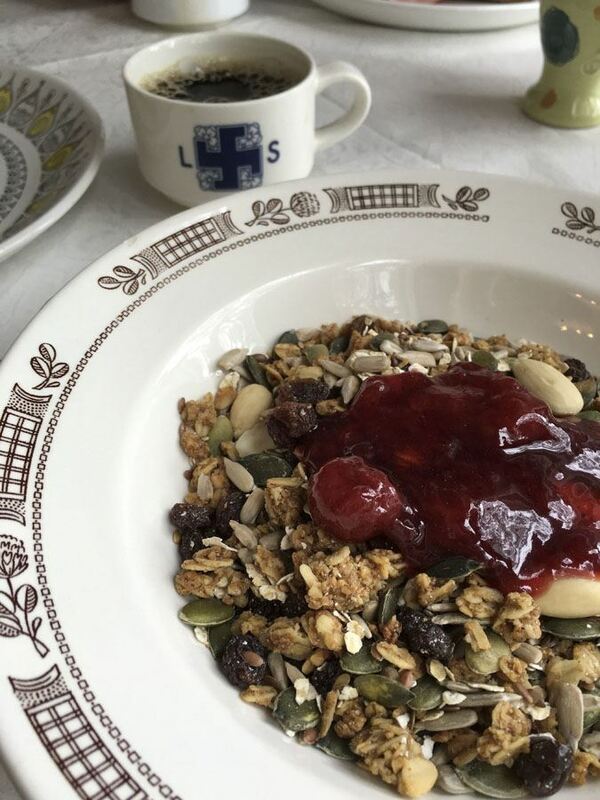 Farmors Café means ‘Grandmother’s Café’ in Swedish, and that’s exactly what the café looks like – the home of a happy grandma, full of delicious homemade cakes, colourful plates and vintage furniture. We could have spent the whole day at Farmors Café, enjoying the summer sun in the garden, but we promised ourselves that we had to explore – at least a bit. We were on a hiking trip after all, and during the Archipelago section of our expedition we didn’t really have long days with hours and hours of walking, so we promised to make up for it by exploring each island where we spent the night, walking as much as we could. Högsåra was only about 3 km long, so we walked down to the southern tip of the island, through some pine forests, until we got to a beautiful pink beach. We met several deer along the way, and saw the tiniest church we’ve ever seen (which was sadly closed!) and some wind turbines – there are three wind power stations on the island, testament of Finland’s commitment to make use of renewable energy. From Kasnäs we walked to the Svartnäs ferry landing – only 3 km walk on that day! 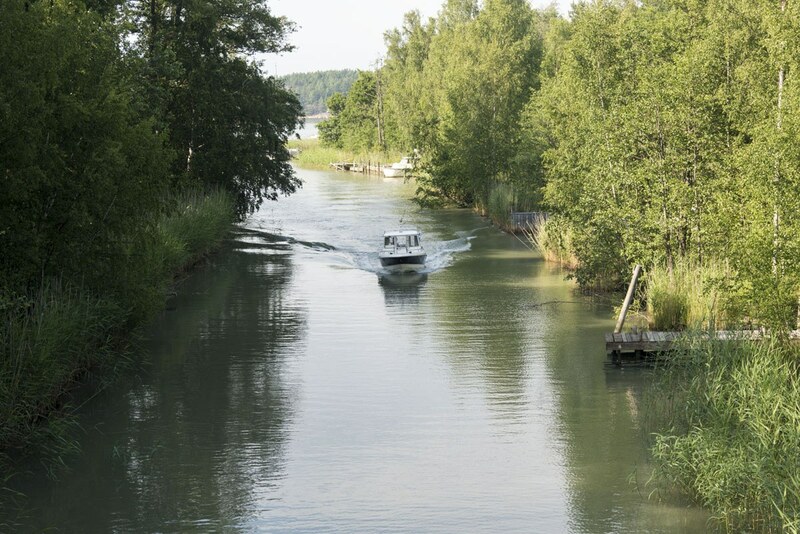 There are free car ferries connecting Svartnäs to Högsåra, departing every couple of hours or so. We spent our night in Villa Cecilia, a stunning wooden mansion built in 1910 that sleeps over 10 people – but we had it all to ourselves! The villa used to be the village store, and it has since been reconverted into a summer home for small groups. There are two stories, and the house felt like a little maze, with doors leading into more and more rooms, each of them cuter than the other. 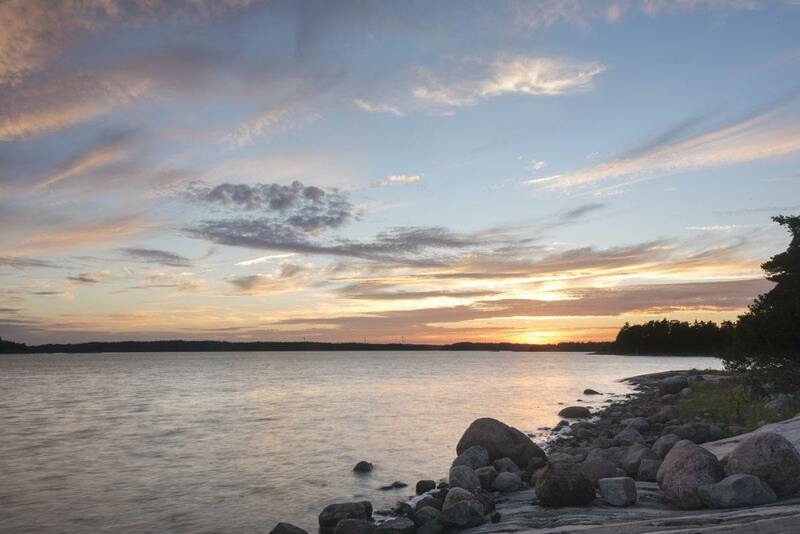 The perfect place for a Nordic summer holiday with friends! We had all our meals at Farmors Café, and the place ranks in our top 5 favourite Finnish restaurants. Besides the amazing cakes and delicious buffet breakfast we had a lovely grilled lamb fillet for dinner, with fresh herb and flower salad and new potatoes with a delicious green sauce. The grill wasn’t supposed to be available that night, but the owners were kind enough to switch it on for us so we could try their famous lamb… which was absolutely delicious! 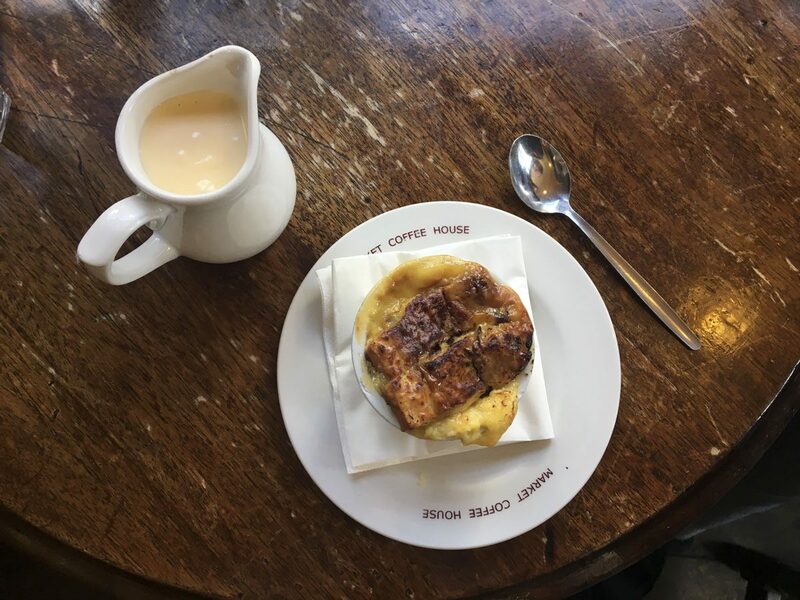 After that delicious dinner at Villa Cecilia, we woke up to Brexit news and a rainy day. Never mind, I guess. 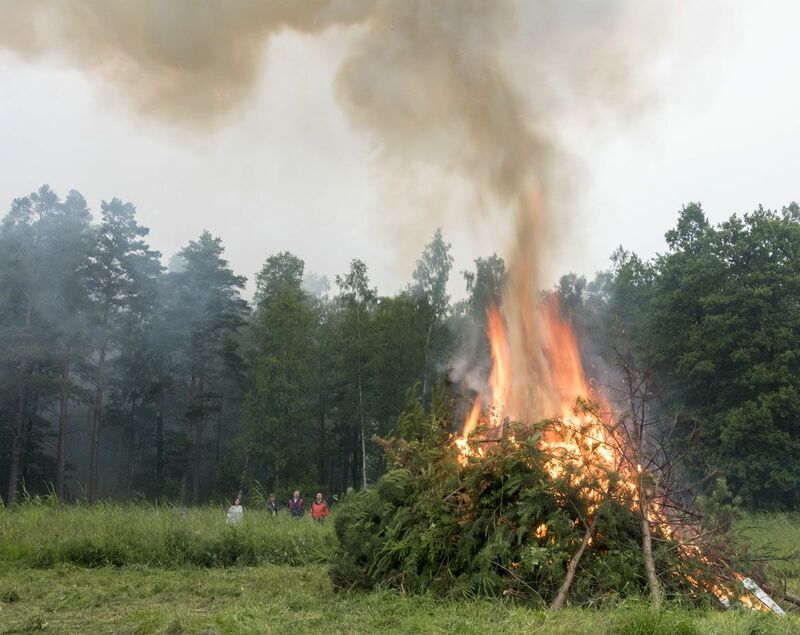 It was also Midsummer Night, which as we were told is often rainy in Finland! 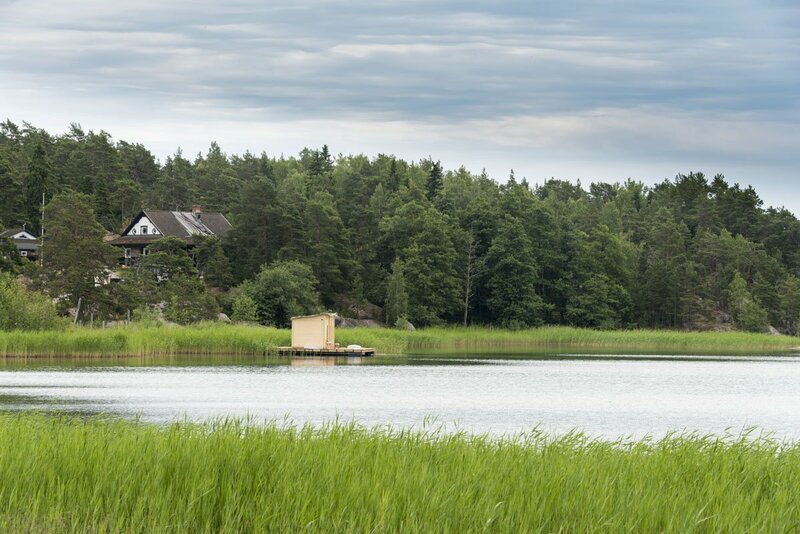 We spent Midsummer on Pensar, another small island further west – spending Midsummer in Finland was something that I wanted to experience for a very long time, and Pensar was the perfect place for that magical night. We got to Pensar in the early afternoon, checked into our guesthouse Pensar Syd, and spent the rest of the day enjoying the island – we walked the ‘nature trail’, a circular trail climbing through the forest to the top of a small hill, and had a sauna with a refreshing dip in the chilly Baltic. Eva and Petter, the owners of Pensar Syd, really went out of their way to make our stay amazing – they invited us to join the rest of their guests for dinner, and we enjoyed a delicious fish platter with home-cured salmon and delicious Baltic herrings and delicious pike perch as a main dish. Then, we all went outside and drank wine around a huge bonfire, with Eva and Petter’s cute cat (‘Half Norwegian forest cat, half Finnish normal cat’ in Petter’s words) to keep us company. Midsummer really is a holiday that is meant to be spent with friends. After the bonfire we walked around the island, and we could hear noise, laughter and the chatter of wine glasses coming from behind closed doors. We briefly ‘crashed’ a village party, with people dancing around a Maypole – but really, it was anything but wild! 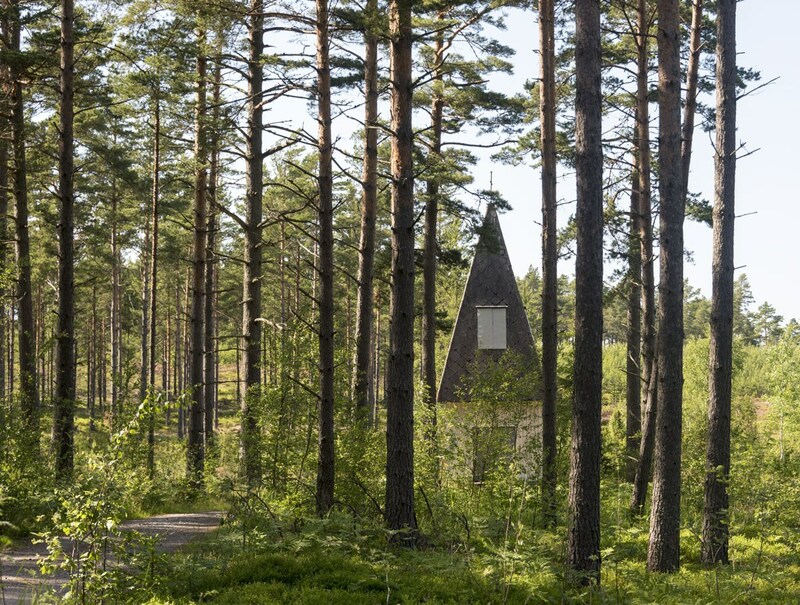 In Pensar you can also visit the Lotta-Svärd museum, dedicated to a Finnish paramilitary women’s group active during the interwar period and WW2. There didn’t seem to be any public ferries to and from Pensar. We were taken there by taxi-boat, and most other visitors had their own boats. Can you read sailing maps? No? Me either. Pensar Syd, where else! 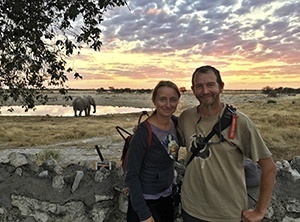 Eva and Petter offer a variety of accommodations for all tastes and pockets – from rooms in the main building, to seaside cottages, apartments and even a youth hostel. Eva also runs a variety of programs, including foraging and berry picking outings, kayak tours, yoga lessons and guided walks around the island. Pensar was probably our favourite destination in the Archipelago, we really wished we could have spent more time there! I said every island in the archipelago had something special, right? Kirjais’s claim to fame is its cute library ‘The Mill on the Hill’, a free-for-all book swapping library, located right on top of a hill near a small windmill. The library is open round the clock – just turn the key and start browsing as you wish. The majority of books were in Swedish and Finnish, but there were quite a few English titles – I picked up Wild by Cheryl Strayed, quite apt I’d say. We didn’t spend much time on Kirjais, as we reached the island around 4.30 pm and we had dinner booked for 7. We had time to walk around the ‘nature trail’ snaking around the island, through forests and fields with grass as tall as me, up to an ‘observation tower’ on top of a hill. Once again, Finnish nature at its best! 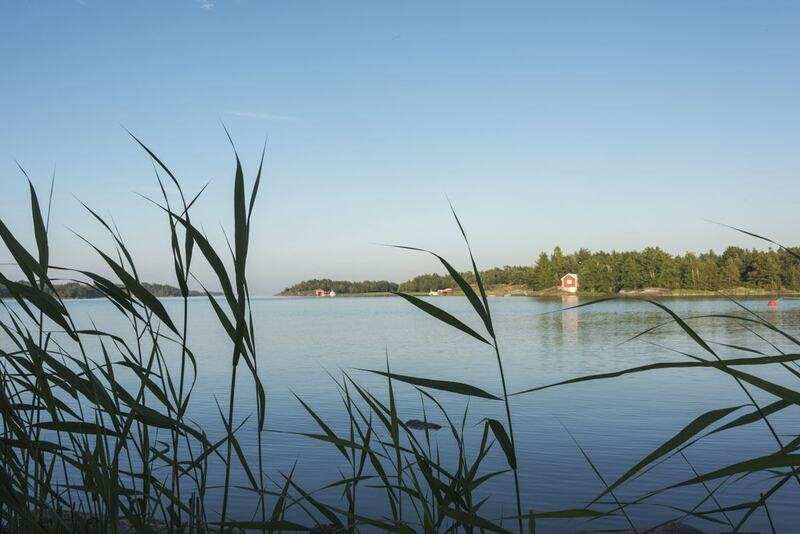 The island is connected by road to some nearby islands and to Nagu, one of the main towns in the Finnish Archipelago area. We stayed in B&B Kirjais Kursgård, located just 600 meters away from Kirjais village. The B&B offers rooms and cottages for rent, and it has a sauna that can be booked. 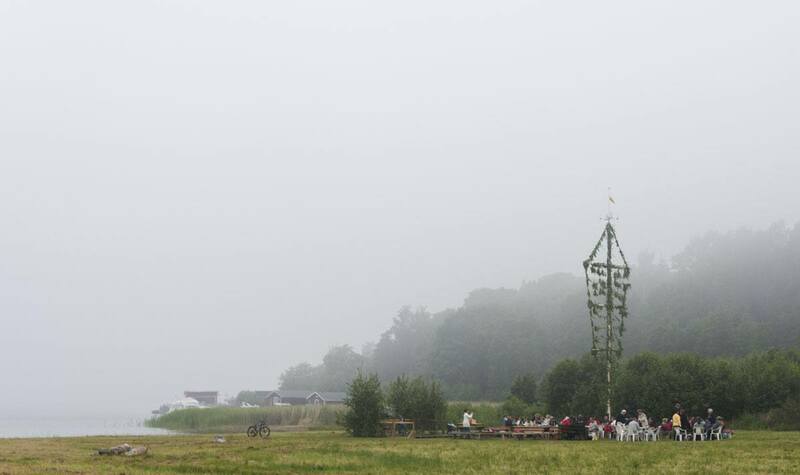 When we visited it was the day after Midsummer and the area was still quite busy with groups of friends enjoying the holiday atmosphere. We ate at Restaurant Bystrand, a chilled pub-like restaurant with outdoor seating in the village, where we had delicious meatballs and mashed potatoes and saw a beautiful sunset. After chilling out and enjoying the sun and festive atmosphere in the Finnish Archipelago, it was time to start walking again! 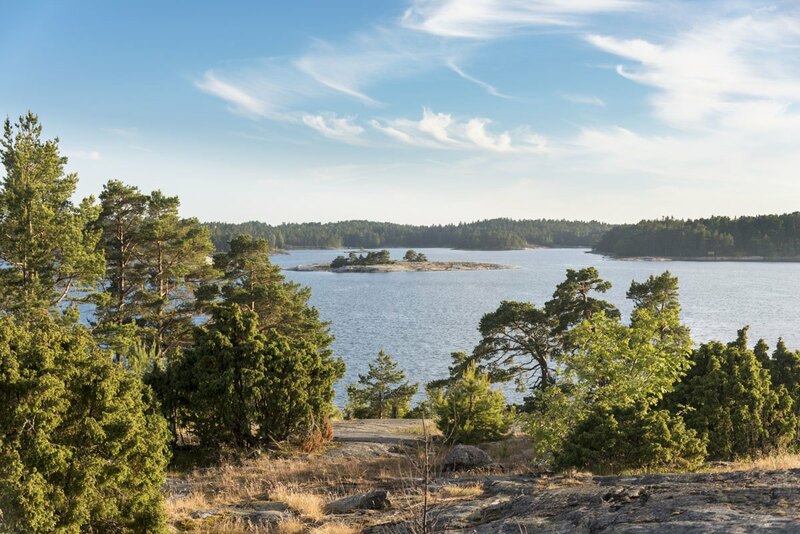 The last two days of our time around the islands of southwestern Finland were spent hiking – the first day we hiked from Kirjais to Nagu, for a total distance of 15 km, across the islands of Sommaro and Lillandet. It was the perfect day for a hike – the weather was cloudy and cool, and we passed a couple of beautiful lakes and some beaches that were perfect for a break and a snack. Once we got close to Nagu we had a small detour and followed a trail that led us to some Bronze Age burial mounds on top of a hill. 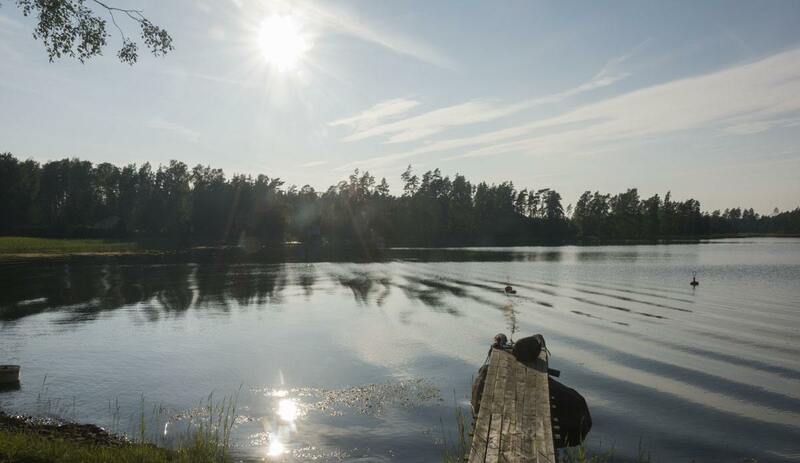 Nagu was the perfect rest stop, a summer town surrounded by silence, cabins and nature – the perfect ingredients for a Finnish holiday. 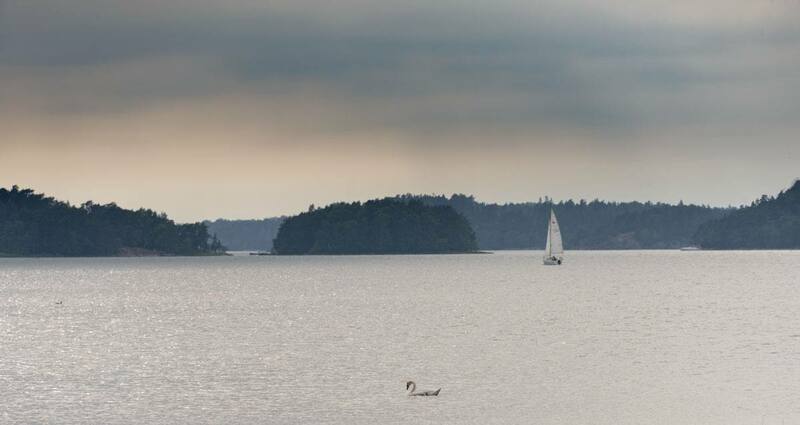 The following day, after a night in Nagu we sailed on M/S Östern to Hanka, then we walked for 30 km from the bottom to the top of the former Rymättylä municipality, following the Little Archipelago Trail until we got to our accommodation near Kultaranta. 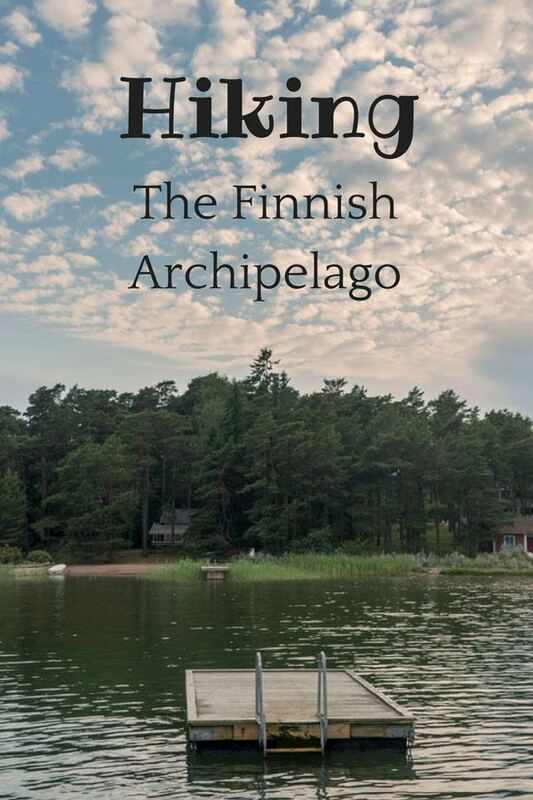 There are two versions of the Archipelago Trail – the long one, a 250 km loop around from the city of Turku and around its archipelago, and the little one, about 100 km crossing Rymättylä and Seili island, housing a former mental hospital. 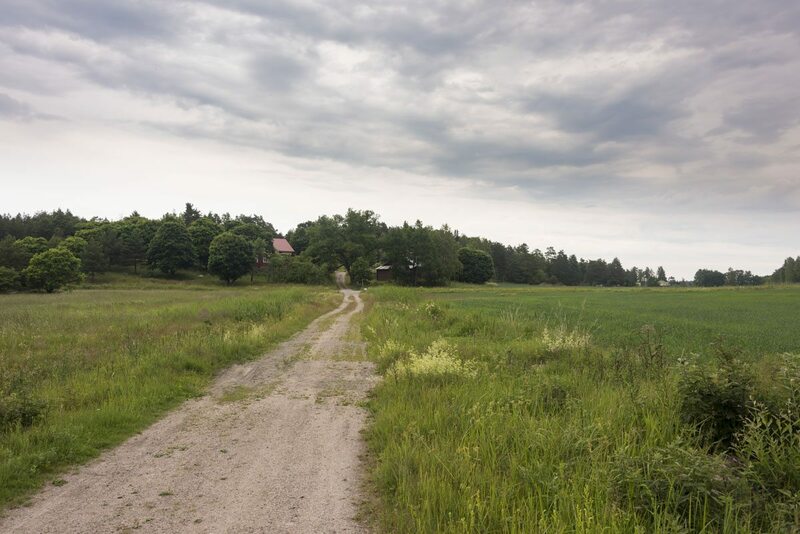 The Archipelago Trail is meant for bikes, as it follows the main roads – traffic was little to non-existent most of the time, and we did try and deviate as much as possible, checking our GPS for trails heading into the woods or through the fields. The hike along the Little Archipelago Trail was long and exhausting, and it was made even more difficult by the fact that is was constantly uphill, and it was chilly and rainy. We felt relieved when we arrived – it was truly one of the most taxing days of the whole hike, probably on par with our adventure in Sipoonkorpi. However, we still had many, many adventures ahead of us – Turku and the Aland Islands were soon to follow. 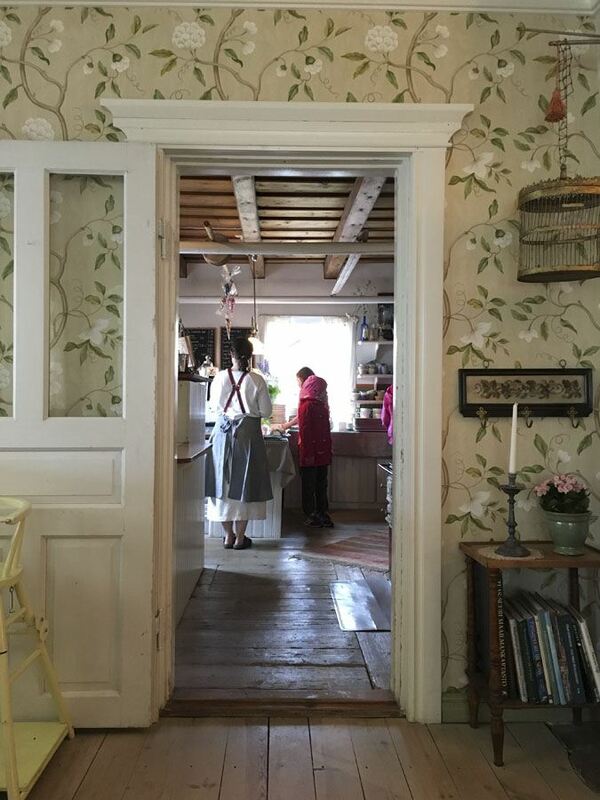 Our home in Nagu was Restaurant and Bed & Breakfast Köpmans, a popular café that started offering lodging shortly before our stay, offering 4 boutique rooms – and one of the comfiest beds of our time in Finland! We had breakfast in the Köpmans café before getting on the ferry, but our dinner was at Restaurant L’Escale, a seaside restaurant with a lovely view, where we had a delicious dinner of fried whitefish with dark Archipelago bread. 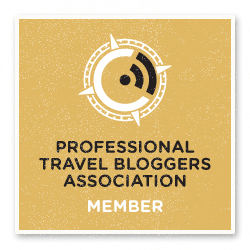 We would like to thanks Benjamin and Cathrina at Visit Kimitoon, Matilda and Niclas at Visit Archipelago, Viveka from Kirjais, Eva and Petter at Pensar Syd, all the staff at Farmors Cafe and Kirjais B&B, and everyone who helped us along the way. Beautiful rooms and cottages near the village of Kirjais. There’s a sauna for guests to use, free Wi-Fi and a children’s playground. Rooms and cottages immersed in nature on serene Pensar island. There’s also a restaurant on site, sauna and lots of nature! 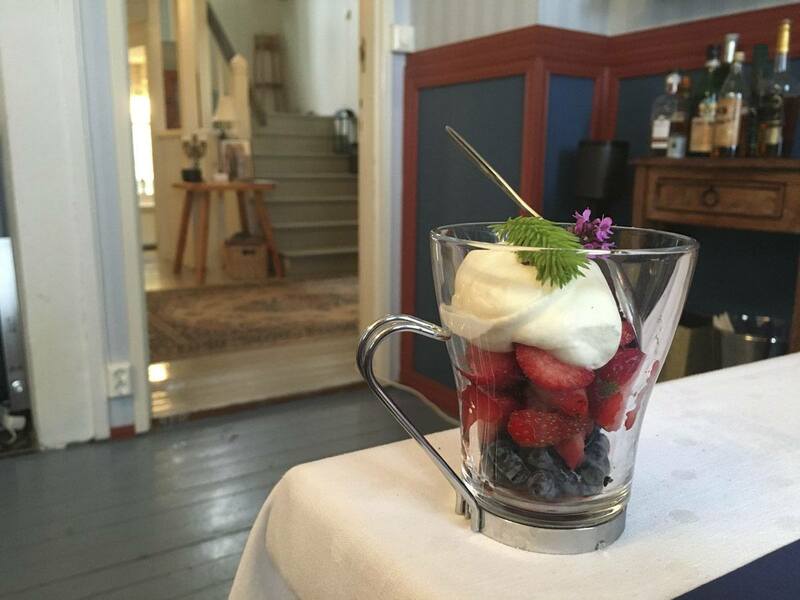 Stunning boutique B&B located close to Nagu’s harbour, with a cafe serving delicious meals and a nice garden. Very nice and beutiful pictures! Good work! Thank you so much! Glad you like the article, I loved your beautiful Archipelago!